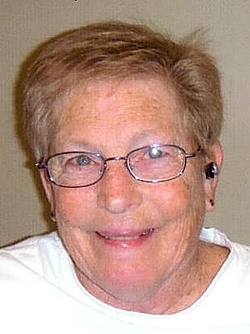 Dixie Lee Sauer Morgan Abt, 70, of Olin, passed away on Tuesday, December 16, 2014 at Anamosa Care Center in Anamosa, Iowa. Funeral services will be held on Saturday, December 20, 2014 at 2:30 p.m. at Lahey Funeral Home in Olin. Friends and family may call on Friday, December 19, 2014 from 3 - 7 p.m. at Lahey Funeral Home in Olin. Burial will be at a later date in Olin Cemetery. Dixie Lee was born on August 4, 1944 in Anamosa to Marion "Pete" and Anna (Jensen) Sauer. She was united in marriage to James J. Morgan on August 2, 1972 in Nashua, Iowa in the Little Brown Church. She worked at CDS in Tipton and was a homemaker and housewife. She was a member of the American Legion Auxiliary in Olin and the Canasta Card Group. She enjoyed bingo, collection hoot owls, watching the Hawkeyes play and loved spending time with her grandchildren. She is survived by her children; Kimberly (Brian) Weimerskirch of Bernard, Keenan Morgan and Keegan Hoffman, both of Olin; her mother, Anna; four grandchildren; Brianna, Kyanne, Coven and Shelby, and her brothers; Randy (Kathy) Sauer of Olin, Kenny Sauer of Mt. Vernon, Tanner (Karla) Sauer of Olin, and Brad Sauer of Olin. She was preceded in death by her husband James, her special friend, Byron "Buzz" Hoffman, her father, and her sister, Deeann Shores.